Sony MDR-NC200D review | What Hi-Fi? 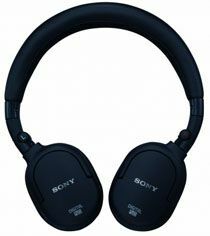 The Sony NC200Ds’ noise-cancelling does a good job of smoothing out the world’s background noise. However, this effect is also apparent in the sound coming out of their drivers; with the tech turned on, everything sounds a bit too gentle and muffled. The riffs and basslines in Green Day’s Hitchin’ A Ride overwhelm the vocals and some detail and attack get lost in the confusion. The sound quality is marginally better when the Sonys are used passively. The midrange has space to breathe, and treble sounds more natural, with better separation and detail. These cans are a good fit, but their on-ear design could make your ears quite hot over long periods. Not a bad effort, then, but there are better options out there for the money.